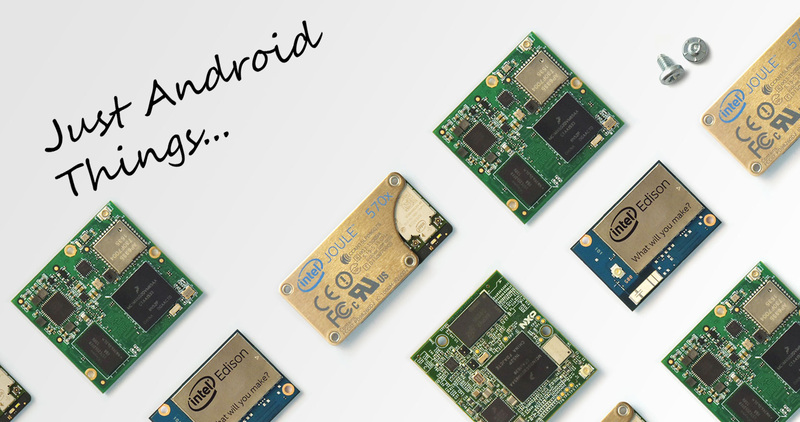 Android Things is the name of Google's edition of Android specifically designed for Internet-of-Things devices (IoT). The first version was made available at the end of 2016, and the first long-term support version is expected to be released sometime this year. Back in May, MediaTek announced that it was making hardware specifically for Android Things, and now two other companies are following suit. Firstly, Qualcomm announced two 'Home Hub Platforms.' These are all-in-one platforms that are pre-certified for Google Cast and Assistant, so manufacturers can make Assistant smart screens and other similar products with little effort. The first Home Hub Platform, based on the Qualcomm SDA212 SoC, is designed for IoT devices without a screen. The second Home Hub Platform is based on the Qualcomm SDA624 SoC, and is intended for use in smart screens, home monitoring cameras, security panels, and other multimedia devices. Both of Qualcomm's platforms support 802.11ac 2x2 MU-MIMO Wi-Fi and Bluetooth. The company expects both will be available to OEMs in the first quarter of this year. The Lenovo Smart Display announced at CES uses one of the chips. Rockchip also announced a SoC for Android Things, called the 'RK3229 SOM.' It features a Quad-core ARM Cortex-A7 (at up to 1.5GHz) processor, PMIC, eMMC memory, an integrated software DSP, WiFi, and Bluetooth. Like Qualcomm's chips, it is pre-certified for Google Assistant and Cast. Rockchip did not announce when the RK3229 would be available to manufacturers. At CES® 2018, Qualcomm Incorporated (NASDAQ: QCOM) through its subsidiary, Qualcomm Technologies, Inc., today announced two Qualcomm® Home Hub platforms supporting Google’s Android Things. Based on the Qualcomm® SDA624 and SDA212 system on chips (SoCs), these platforms are designed to help developers and original equipment manufacturers (OEMs) to quickly and cost-effectively develop home hubs featuring Google services such as the Google Assistant. Home hubs, which rely on cloud connectivity and edge compute capabilities for a variety of form factors, are a fast-growing industry. Additionally, the platform also includes System-on-Modules (SoMs), development boards and reference designs. This comprehensive set of platforms opens exciting new possibilities for OEMs to accelerate the design, development and commercialization of a new generation of artificial intelligence (AI) -enabled consumer electronics products featuring rich digital assistant, touch display, video camera and immersive media. Harman and Lenovo™ are currently working with Qualcomm Technologies on home products including the new Lenovo Smart Display using the Qualcomm Home Hub platforms. The first of the Qualcomm Home Hub platforms for Android Things, based on the Qualcomm® SDA212 SoC, is designed to enable home devices and appliances such as refrigerators, ovens and washing machines with digital assistant and audio capability. It brings together a unique combination of processing capability, connectivity options, voice user interfaces and premium audio technologies all in one platform, allowing OEMs to deliver comprehensively featured and highly intuitive devices to consumers. The platform incorporates echo-cancellation, noise suppression and “barge-in” capability, supporting a voice user interface in loud or noisy environments even when users are far from the device. The more feature-rich variant of the Qualcomm Home Hub platform for Android Things, based on the Qualcomm SDA624 SoC, adds edge computing capabilities while bringing multimedia, video camera, touch display and more to Android Things devices such as smart displays, home monitoring cameras, smart thermostats and security panels. With this variant, home hub devices can support advanced tasks including video conferencing, remote video monitoring, movie and video streaming and more. Both platforms support robust Wi-Fi® 802.11ac 2x2 MU-MIMO and Bluetooth® connectivity using Qualcomm Technologies’ QCA9379 chip. To further facilitate fast and cost-effective development of AI-enabled home hubs and devices, Qualcomm Technologies is working with distributors to design and make available certified SoMs, reference designs and development boards based on the Qualcomm Home Hub platform – for both variants based on SDA212 and SDA624. OEMs of all sizes will be able to purchase these platforms and use Android Things software to make products that provide consistent and familiar interactions, while adding custom Android Package Kits (APKs) to create differentiated user experiences. Software and security updates can be pushed to installed devices through the Google Cloud, helping OEMs to quickly and efficiently add new features, fix bugs and security updates while reducing cost of product life cycle maintenance – even at global scale. In addition to the convenience of the Google Assistant, devices based on the Android Things Qualcomm Home Hub platforms can utilize additional Google cloud-based services to provide consumers with meaningful information and superb entertainment. Google Cast for audio allows consumers to easily stream music, while TensorFlow supports machine learning applications The variant using SDA624 supports video streaming using Google Cast, Video conferencing using Google Duo and Google Maps which can provide the latest traffic updates, for example before leaving the house. The Qualcomm Home Hub platforms, SoMs, reference designs and development boards using Android Things are expected to be generally available in first quarter of 2018 through Intrinsyc Technologies Corporation. SoMs based on SDA624 will also be available through LITE-ON Technology Corporation. Qualcomm Technologies will demonstrate products based on the Home Hub platforms at CES 2018 in Las Vegas, January 9 – 12, Central Hall, 10948. LAS VEGAS, Jan. 8, 2018 /PRNewswire/ -- Rockchip, a leading Chinese semiconductor company, today announced its new Android Things™ Turnkey Solution - RK3229 System-On-Module (SOM). It will help developers build multiple categories of IoT products and bring them to market more quickly. RK3229 SOM is a cost-effective, optimized Turnkey Module with high performance that is certified by Google. It features Quad-core ARM Cortex-A7, up to 1.5GHz and integrates PMIC, Memory, eMMC, WIFI/Bluetooth with a built-in fuel gauge. It is compatible with pre-certified Cast and the Google Assistant. It is a cost-effective SOM module certified by Google for running Android Things with the Google Assistant. It can be used to for fast mass production of IoT devices and shorten the R&D cycle. It is based on the Android Things platform. ODM/OEM/Developers can efficiently access Turnkey hardware/software and benefit product development and innovation. Google services: pre-certified Cast and the Google Assistant in the module can greatly speed up development progress and improve stability. It has built-in integrated software DSP, supports EQ/DRC audio, and is easier to develop and customize than hardware support. It is based on Android Things, which benefits from regular security updates directly from Google. It can improve product updates and cost savings by utilizing Google OTA upgrade service. It is easier for developers and OEM/ODM partners to launch products with RK3229 SOM. Turnkey hardware solutions are available off the shelf. SOURCE Rockchip Electronics Co., Ltd.